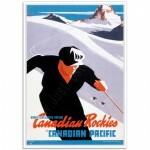 The Original Colour Lithographic Travel Poster was created by Alfred Crocker (A.C.) Leighton for Canadian Pacific in 1938. 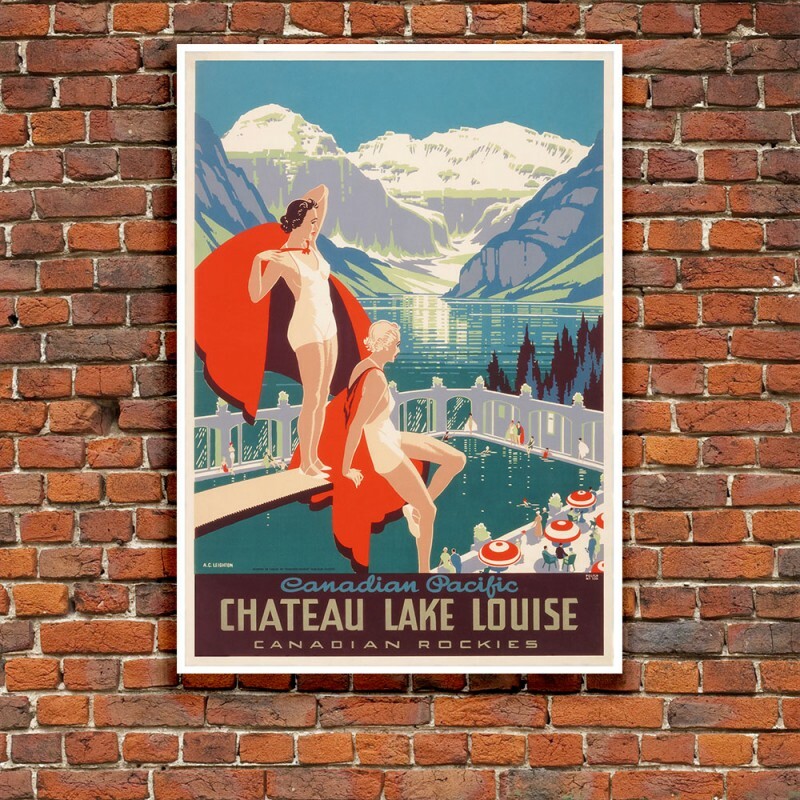 The Art Deco Illustration promotes the Canadian Pacific Hotel, Chateau Lake Louise in Alberta and depicts wimmers sitting around the pool at the hotel. 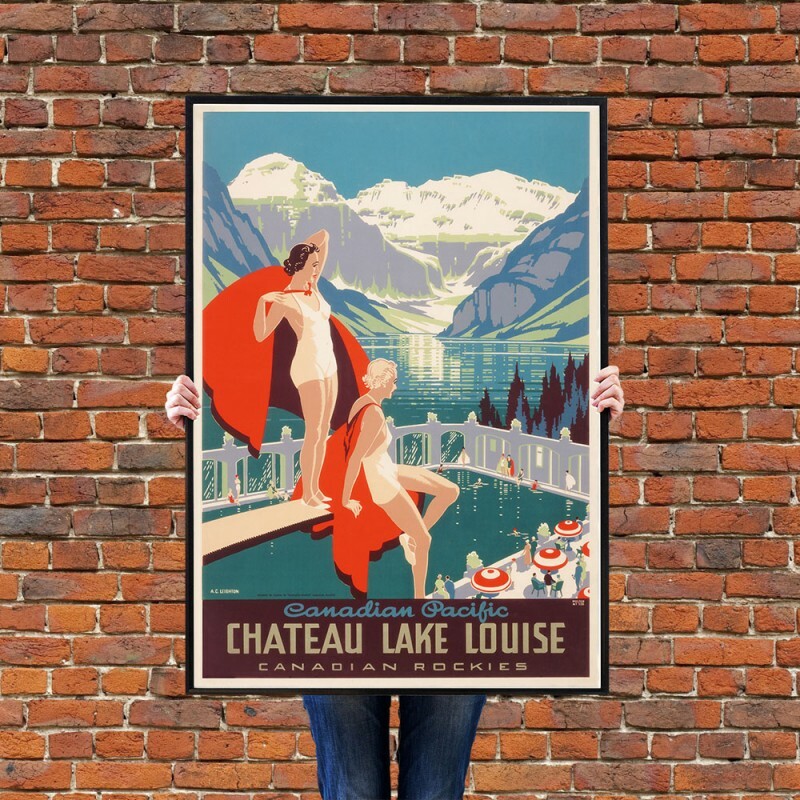 Today the Chateau Lake Louise is a Fairmont hotel and is situated on the eastern shore of Lake Louise, near Banff, Alberta. 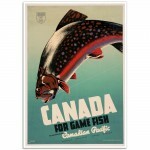 The hotel was extended at the turn of the 20th century by the Canadian Pacific. 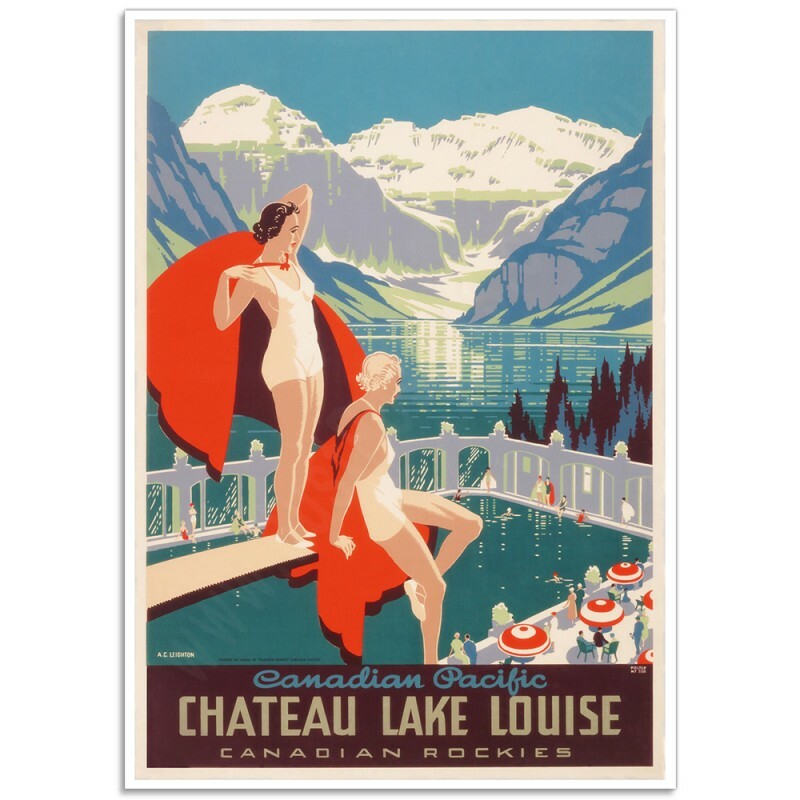 The hotel site was developed by the Canadian Pacific Railway at the end of the 19th century, as a vacation destination for wealthy tourists. 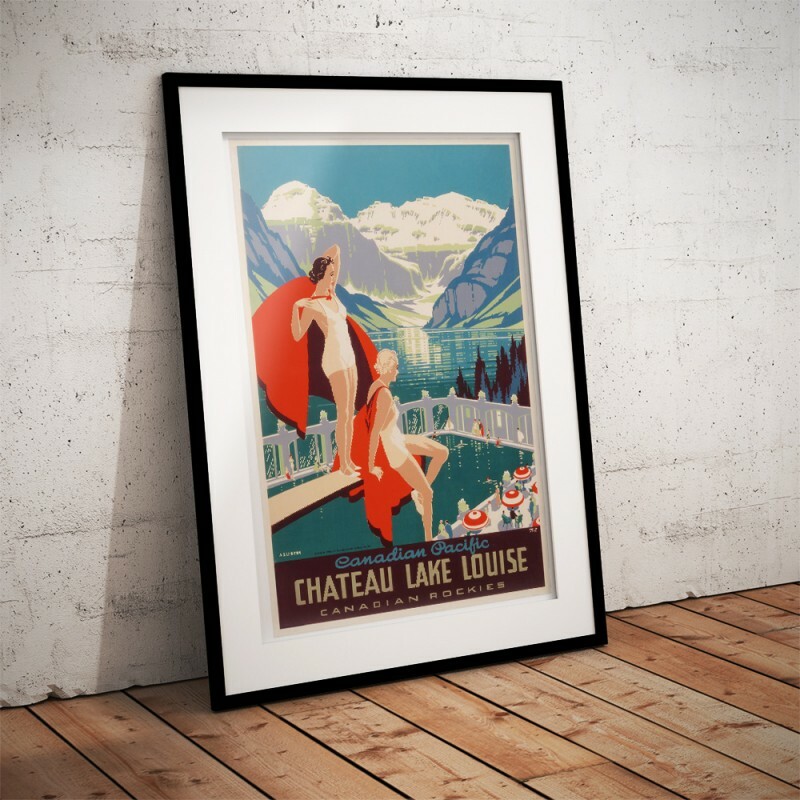 It wasn’t long before air travel and road transport superseded the rail-roads which made the magnificent region accessible to the masses. Canadian Pacific Hotels acquired Fairmont Hotels and Resorts in 1999 and assumed the Fairmont name for all of its hotels, resulting in the Chateau Lake Louise being operated as a Fairmont hotel. 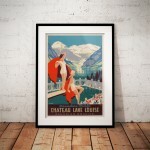 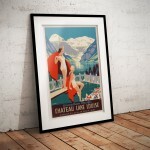 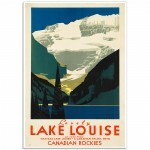 The 'Chateau Lake Louise - Vintage Canadian Rockies' Poster has been created from an original poster. 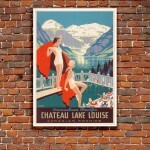 Lovely Lake Louise - CanadaIn the Canadian Rockies as seen from Chateau Lake LouiseThe Colour Lithog..